I haven't had internet for over a week. I called multiple times to try to have the problem resolved. 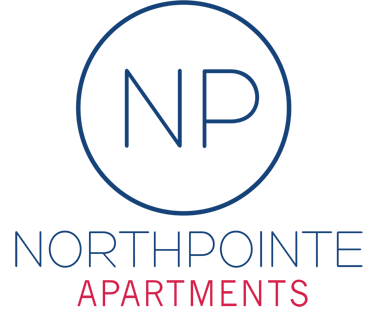 Both north pointe and the company to resolve the issue, but I never got a follow up or a call back. I've had pest control problems, you have taken weeks to get around to fulfilling service requests, and even when you do you don't do a great job. The younger staff and maintenance staff are nice and has helpful as can be. The on-site management is horrible. I have had several issues and wouldn’t recommend living here. Even having problems of them not having my paperwork on file and then the next month they tried to charge me double. Our apartment was all broken. We have not recieved any help. The free things are dirty and not as well kept as we were told they would be. Our apartment was dirty when we moved in. We have cockroaches. Nobody will help us fix anything. The location is great. It's across the street from major stores and the mall, so if you don't have a car, then walking isn't a problem. There are shuttles that take you to and from school, but they break down too often so you can't rely on those. Management is always changing and they don't necessarily care about the people who live here. They're more concerned with themselves than with showing compassion. The people up front are okay. At least they know how bad management can be--although sometimes they are a bit rude, but that could be a day they're having. NP isn't good at updating its residents either. I once had someone come into my apartment and leave a bunch of furniture without knowing. When I called they acted like it was my problem. Overall, it's cheap, but I often wonder if it's worth the hassle to stay here. So far, I've gotten a bae experience from this place and one thing is that it took so long for them to check out our dryer. If I could I would rate it a zero. This place is awful and I will warn anyone who will listen to never live here for the rest of my days. If zero stars were possible I would score it so. Random people appearing in the apartment complex, and security not doing their job. Cars being vandalized because the gate is ALWAYS broken. Maintenance takes forever to report to a call because management is very organized. The transportation is not very reliable. There should be more than two scheduled shuttles and each shuttle should have a larger capacity. The maintenance also takes too long to fix a problem. And the front office is sometimes too unprofessional and loses rent payments. super disappointed with how this facility has dropped over the course of my two years here. not gonna renew again, you don’t deserve the money & aren’t worth the loyalty. too bad i had some good friends here, they were lucky enough to leave before i could. Living here is pretty dope, the electricity is OK. The people living here are pretty cool. The bus shuttle is key here because it's a ride to campus. I have not liked living here. There are cockroaches and no one has come to fix the problem. It took over a month to get someone to fix our dryer and many of the appliances don’t work. Management has been pretty bad overall. Everything always seems to be broken. The shuttles are unreliable and the free printing that was promised before we moved in isn't even available. Managers never even seem to be available so I wonder how much they even work because when ever I come in to discuss something they are not there. It's god awful to be honest I don't feel like I live here. The advertising is scammy, the NP isn't BBB certified for a reason. They really need to get a handle on renovating all of the property and take residents telling them about health and safety issues seriously. Management does not seem to care and my apartment did not seem as if was cleaned before I moved in. Great amenities though including a gym, pool and hot tub, and basketball courts.